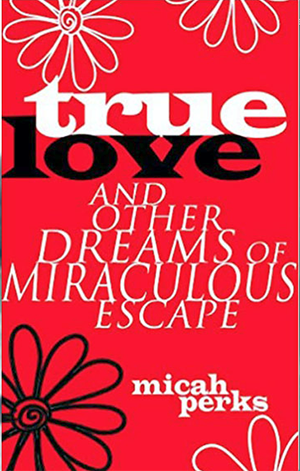 True Love and Other Dreams of Miraculous Escape, the latest book by UC Santa Cruz literature professor Micah Perks, is a unique anthology of her short stories that sometimes reads like a novel. Written over the past 15 years, it’s a linked collection of engaging tales about the same people--all set in Santa Cruz, California. "The stories in True Love connect in the most satisfying way,” observed David Vann, author of Bright Air Black and Aquarium. “You begin with a journalist who interviewed Harry Houdini about his night with lost souls in the Winchester House, a light story that gains weight from the six million Jews who did not escape," said Vann. "Then you have the chance to follow his granddaughter in her sad affair with a lover from Chile, a legacy. The stories are about escape in the deepest ways, from marriage and family and self and even from time and place, and the writing is beautiful, believable, disorienting. Sit down and watch the show, because I guarantee you don't know what's coming…"
Co-director of the Literature Department’s creative writing program at UC Santa Cruz, Perks is currently wrapping up a fall tour to promote the book that ends in December with a reading at Powell's Books in Portland. Her previous works include two novels, What Becomes Us (2016) and We Are Gathered Here; a memoir, Pagan Time; and a long personal essay, Alone in the Woods: Cheryl Strayed, My Daughter and Me. 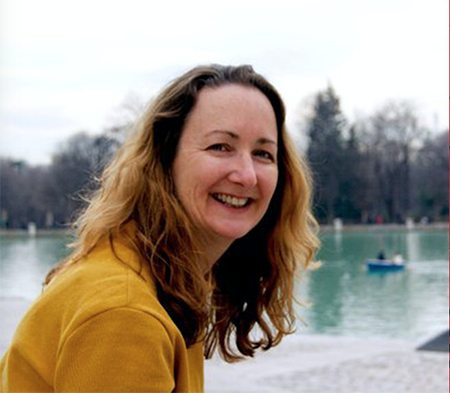 Her short stories and essays have won five Pushcart Prize nominations, and her work has appeared in anthologies and journals such as Epoch, Zyzzyva, Tin House, The Toast, The Rumpus, and The Best Underground Fiction, Santa Cruz Noir. “I hope I make readers laugh, and give them a sense of possibility, of hope, a little respite from these exhausting times,” said Perks. “My next book is about utopia and apocalypse. I'm writing a memoir-essay about women and girls in utopian/apocalyptic situations--both in life and in literature,” she added.